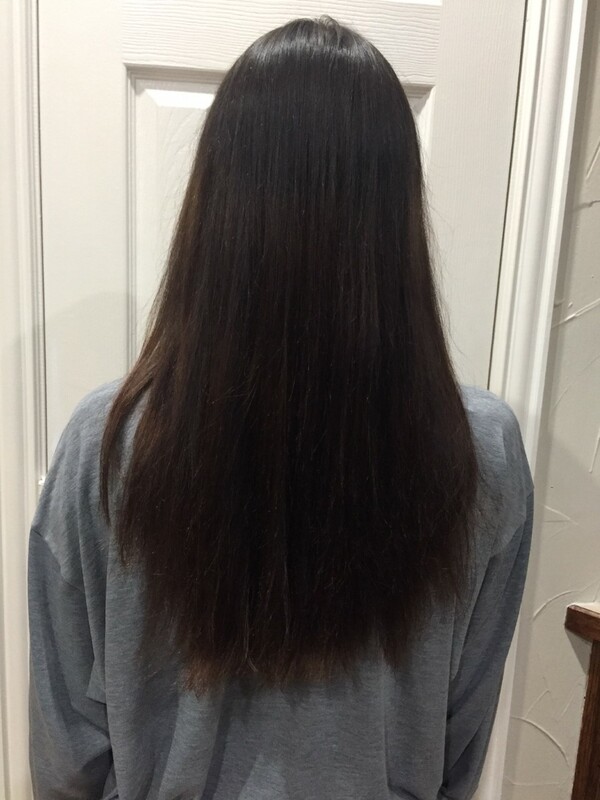 Having strong, healthy hair was never something that crossed my mind - I was always too worried about having long hair, even if it meant having scraggly, uneven and unhealthy split ends. Sure I would put products in my hair, but mostly because I wanted it to be soft and long. I didn't understand that I wasn't treating my hair - I was making it worse. Using hair masks and deep conditioners only masked the problem, it didn't solve it. It wasn't until I finally realized that my hair was breaking off and that it broke off completely due to excessive coloring, dying, heat and stress. My long hair went from waist length to almost chin length within a couple of months - without a haircut. It was literally breaking off. Here is a blog post I wrote, showing images of my hair from last year. 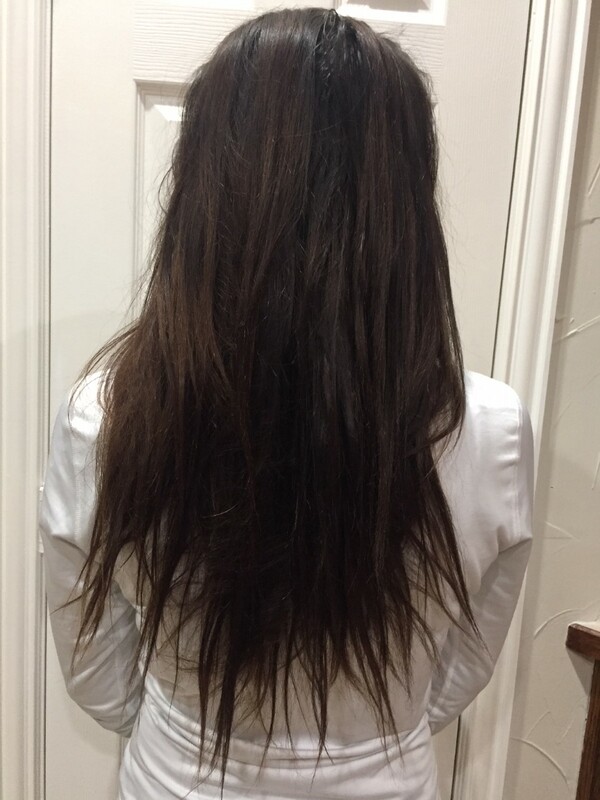 Now, more than one year later and several mini hair trims, my hair is almost back to it's original length, but the ends are still scraggly, uneven and split. I want to get my hair looking healthy, strong and long, so here is my documented hair journey starting January 30th, 2018. My hair goal for this year is to have routine hair trims and to take better care of my hair. You can follow along here. Before my first hair trim of the year. I have been trying to wash my hair only every other day instead of every single day like I used to. Instead of drying my hair, I have been letting my hair air dry. I haven't colored or dyed my hair in months. After my first hair trim. I decided to take a couple of inches off my length to achieve a healthier look. I will continue to document my hair transformation each month.